But don’t let your friend or sibling whose taste runs to the high end stymie you this year. Here are some great gift ideas that will impress even the toughest recipient. Anthropologie Mikata 3-Piece Cheese Knife Set ($36 at Nordstrom). For those who love to entertain (or eat), this unique cheese knife set features rattan-wrapped handles for extra texture and interest. Sugarfina 3-Piece Happy Holidays Bento Box ($28 at Sugarfina locations and sugarfina.com). 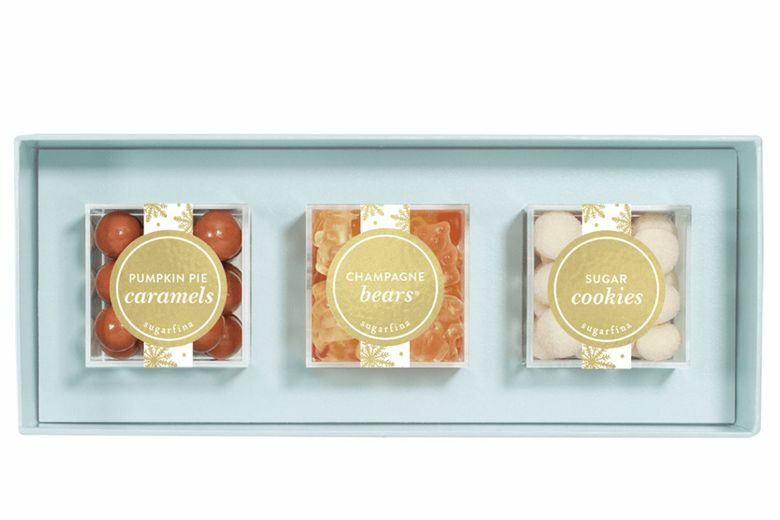 Packaged in a shimmery white and gold box, this set includes three delectable candies — pumpkin pie caramels, champagne bears and tiny sugar cookies — that will please the most discerning of palettes. CB2 Rose Quartz Tray ($100 at CB2, U District, and cb2.com). 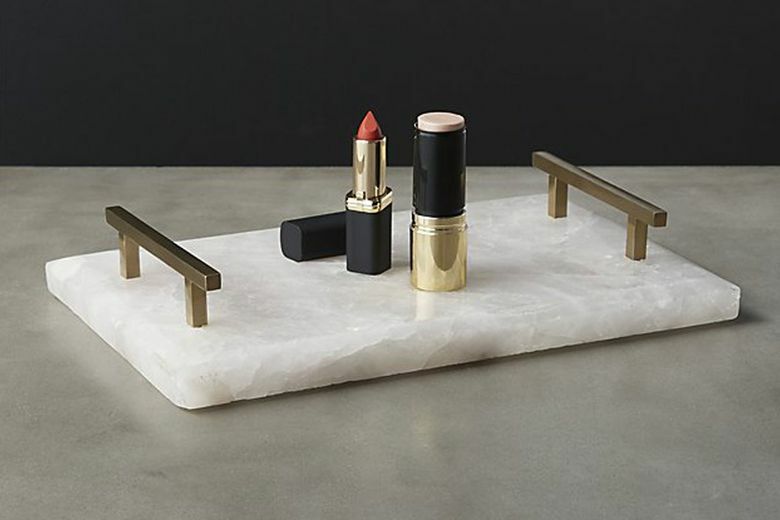 A gorgeous place to keep their favorite things, this quartz vanity tray has square brass handles and a subtle pink tint with unique veining patterns. George Jensen Small Henning Koppel Vase ($60 at totokaelo.com). 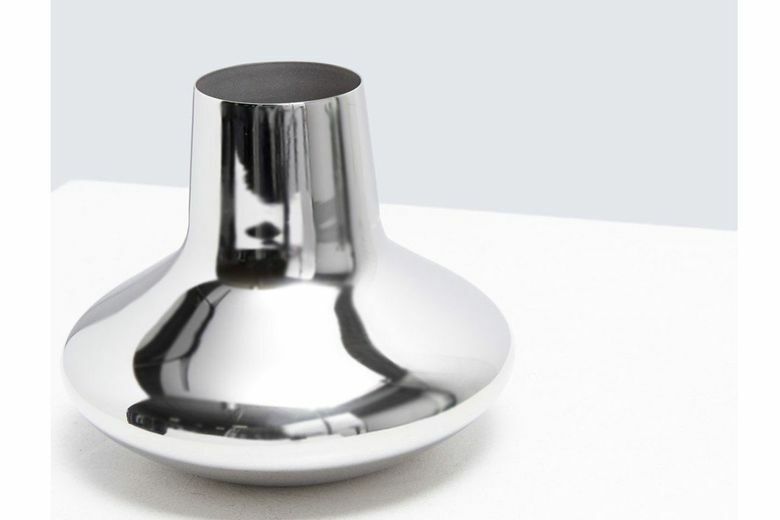 A reimaging of one of Danish designer Henning Koppel’s most iconic pieces, this small vase is part of a stylish new collection that offers big style on a budget. “Cravings: Hungry for More” ($30 at booksellers). 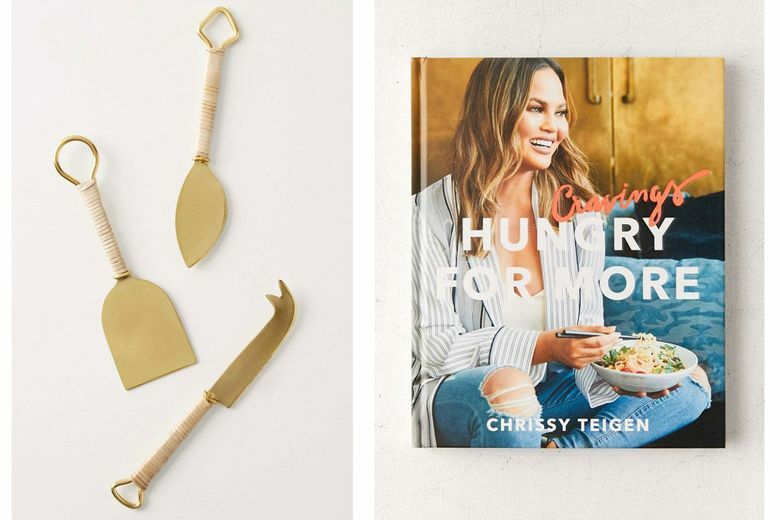 Model and authorChrissy Teigen’s latest cookbook is packed with humor and the delicious comfort-food recipes she’s known for, including the Shake & Bake-style chicken she made growing up in Snohomish.